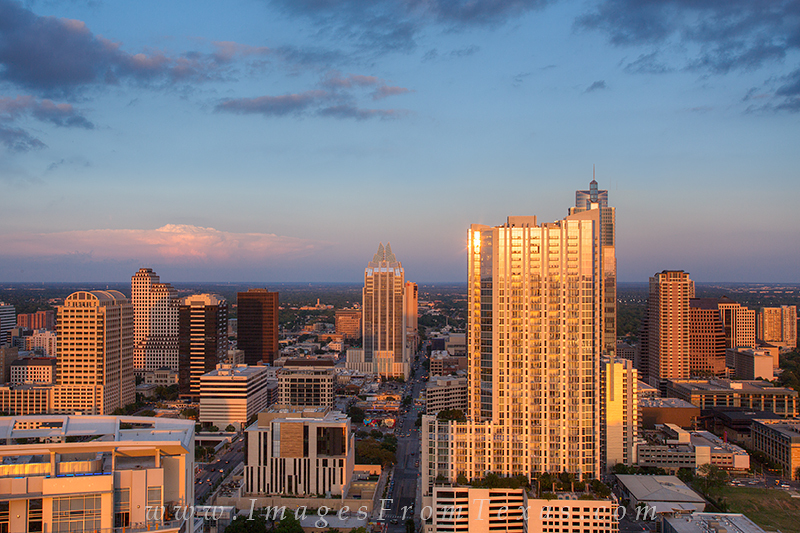 The high rises are tinted orange at sunset in this Austin skyline image that looks east. In the distance you can see storm clouds on this April evening in central Texas. Photo © copyright by Rob Greebon.